uPVC Windows, also known as PVCu Windows, are the most common type of Double Glazed Windows and Doors. Here at Cheam Windows we are Double Glazing experts. 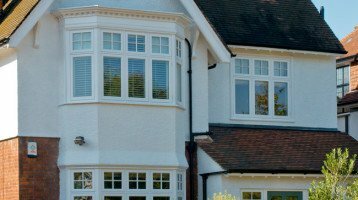 We have been supplying and fitting uPVC Windows and Doors in Surrey and London for over 25 years. We have thousands of happy customers and would be very pleased to help you with any needs you may have for uPVC Windows and Doors. In Surrey we have three lovely Showrooms that you can visit for expert help and advice. Here you view our huge range of uPVC Windows and Doors, Conservatories and more. Whatever material you choose, no matter the design you need and for any room in the house our range of top quality windows will improve your home. We have uPVC Windows to suit houses all ages, and to fit all characters and styles. 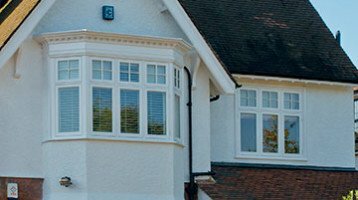 Cheam Windows are one of a few companies to offer you the complete Window range. Unlike many companies, we are not tied to one make or style. We can design and install windows in the widest choice of materials, textures and colours. We feel a window more than just a window. Certain window profiles may not suit the character of your home. Windows for modern homes may require flatter, slimmer profiles than the traditional profiled window frames suitable for older properties. We supply and install new windows for character properties, Aluminium Crittall Replacement Windows for art-deco homes, Sash Windows for Edwardian or Victorian houses or custom Windows for new build homes. With all of our windows you are guaranteed energy efficiency and security to the highest industry standards. A choice of styles and a product to complement your style of home and not a one style fits all.